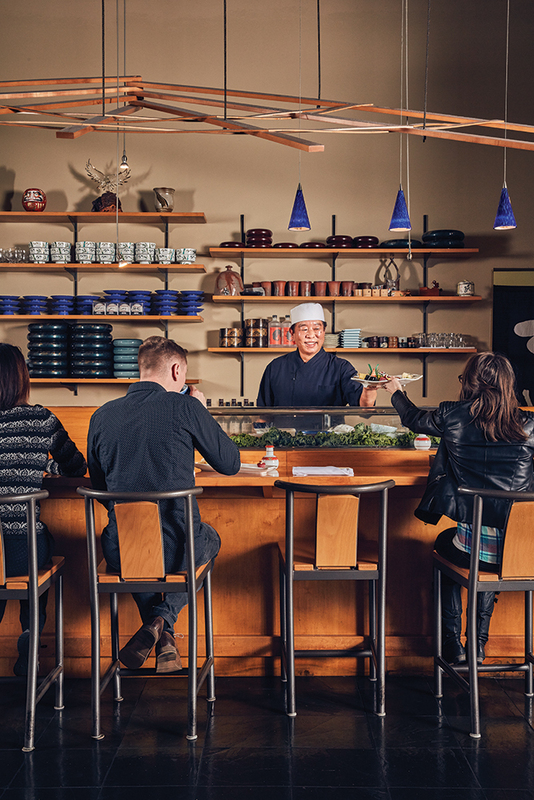 In Florence, Kentucky, in the shadow of a Fifth Third Bank tower, on (appropriately enough) Bankers Street, you’ll find the region’s richest deposit of authentic Japanese cuisine: Miyoshi. 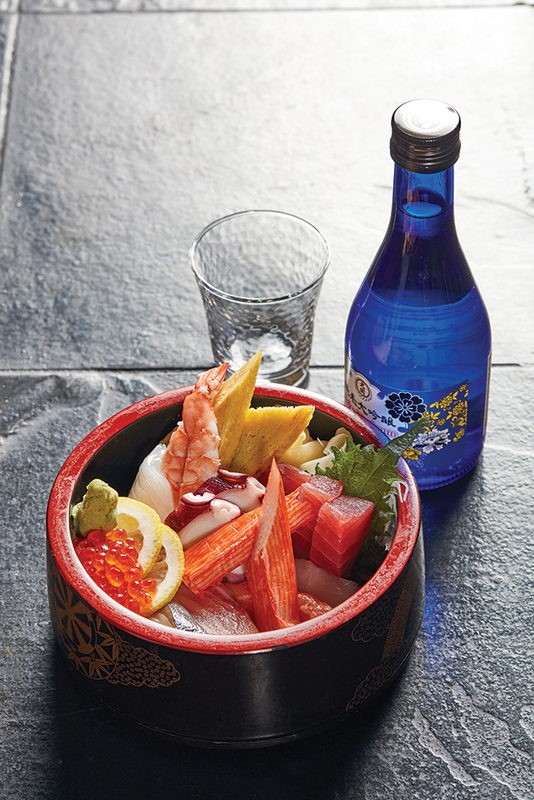 Don’t let its chain eatery neighbors fool you: Miyoshi offers a unique dining experience. The uncluttered dining room is spare but not sterile, and the private tatami room and small sand garden add a shot of Zen to the atmosphere. On the sushi front, Miyoshi more than delivers with exquisitely fresh, melt-in-your-mouth fish atop chewy, seasoned rice, and there are plenty of udon and soba iterations to choose from. 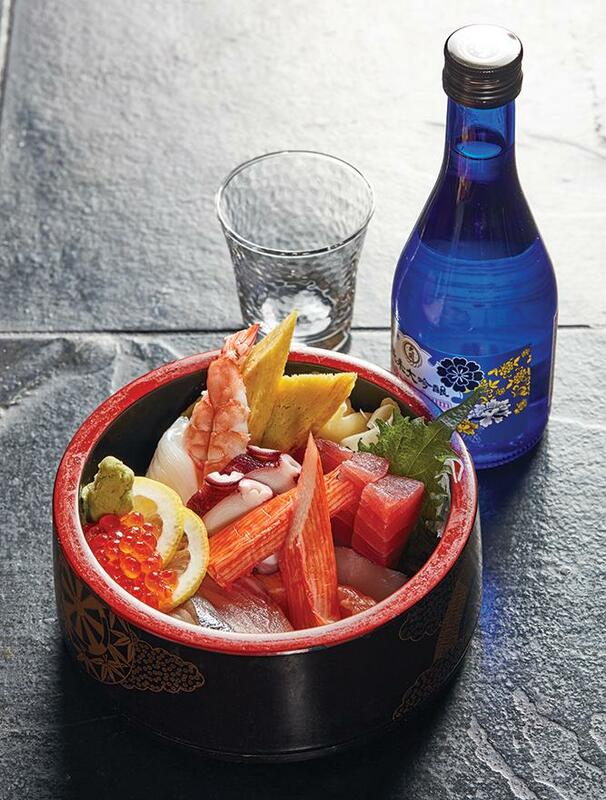 But the menu is also full of rare traditional Japanese delights that have escaped notice thanks to the mediocre half-price sushi obsession gripping the region. Fortunately, servers are eager to help you navigate these gems. The delicately seasoned ochazuke soups are pure comfort in a bowl: steamed rice studded with small strips of nori (seaweed) and tiny bubu arare (rice crackers) is submerged in a green tea broth then topped with little extras like roe, octopus, or our favorite, umeboshi (pickled plum). One bowl, paired with an order of airy pork shumai (dumplings) laced with wasabi or the agedashi tofu (lightly fried tofu cubes topped with grated ginger, scallions, and bonito shavings), makes for a light, but deeply satisfying meal.